Situational awareness: "A woman who said she was raped by JD.com founder Richard Liu filed a lawsuit Tuesday against the billionaire and his company," the AP's Amy Forliti reports. The big picture: The BlackRock, Wellington and CalPERS initiatives finally take account of an unignorable fact — some of history's biggest fortunes have been made opportunistically in times of chaos. 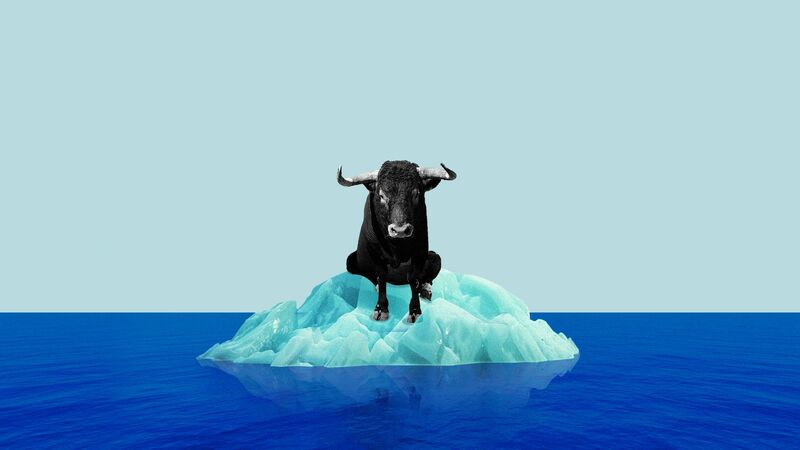 If one views climate change as a prolonged period of chaos, it makes sense that investors would seek to protect their current ownings, be careful about what they bet on next — and look out for shrewd places to put their long-term money. Their effort is made possible by the advent of big data and more powerful computers: Rhodium's work with BlackRock produced 160 terabytes of data, the group said — more than 10 times the holdings of the Library of Congress. Biggest losers: The Gulf Coast, much of Arizona, the South Atlantic. Naples and Key West Florida could lose 15% or more of GDP a year, mostly from coastal storms, BlackRock says. As stores fall to behemoths like Walmart and Amazon, a surprising source of jobs is the salon industry — a retail stronghold thriving because it provides services that can't move online. Erica writes: The occupations of nail technician and hair stylist are commanding an increasingly large share of retail jobs, and economists are sounding the alarm, saying these are among the least stable and lowest-paying jobs in the country. Openings in nail care jumped 186% from one year to the next; hair care, 103%; and salon and spa by 150%. 30% of nail technicians are self-employed and working without any benefits or labor protections. That's triple the average share in other U.S. industries. Nail salon workers are also predominantly women (81%) and born outside the U.S. (79%). "It’s an industry of low-cost services and low-wage workers. But if this is a sector that continues to grow, we have to ask ourselves, 'Are we paying too little for the cost of getting our nails done?'" 3,900 robots is a massive deployment, but the impact to jobs will be significantly diluted as those bots are spread across 4,700 stores, says Darrell West of the Brookings Institution. Among the bots joining Walmart's workforce: 1,500 autonomous janitors, 300 shelf-scanners, 1,200 truck unloaders, and 900 pickup towers that put items ordered online into a vending machine for customers to retrieve. Erica writes: Walmart says the workers whose jobs these bots will replace will move to "more fulfilling" customer service work. But can the company really absorb the impact of automation? What's happening: A common refrain among companies that add scores of bots alongside human workers is that they will free up humans from menial tasks to do more interesting work. Experts worry that only a portion of humans will actually be "freed up," and the rest face layoffs. But Walmart insists not a single worker will lose their job. On a trip to Chicago yesterday, our editor-in-chief, Nick Johnston, visited Amazon Go. As hard as he tried to trick the cashierless system (he dropped a bag of M&Ms into his pocket right as he walked out — not lingering for a second), he was accurately charged (eight minutes after leaving the shop). As we’ve reported, cashierless systems are lagging in the U.S. In several states, the model is facing a legal backlash. And the behemoth Walmart has decided to roll back its automated checkout technology because it found customers actually like speaking with a human. "I am the kind of person who will cross a busy intersection and download an app to test a new kind of store that will help me never talk to another living soul again. I guess that makes me atypical."